Established in 2011, TigerVPN is a VPN provider based in Bratislava, Slovakia. The fact that TigerVPN manages its own network of servers enables it to offer a service that is fast and reliable. They have built a solid fanbase thanks to their convenient prices and the good quality of their proprietary VPN client. TigerVPN is focused on providing users with a solution to secure their internet traffic and to bypass the restrictions that prevent them from enjoying true online freedom. Since TigerVPN is committed to help users to enjoy strong online security to defend their data from possible threats, it is not a surprise to see that OpenVPN is the default protocol. They use standard AES-256-CBC encryption with OpenVPN to secure your data. OpenVPN has earned recognition as the most secure and trustworthy solution to protect your online traffic. If you are looking for the best option to keep your information safe, OpenVPN is the way to go. However, there may be cases in which OpenVPN is not available so TigerVPN also allows you to select L2TP, IPSec or PPTP as an alternative. If you only intend to use the service in compliance with the terms established, you shouldn’t experience any issues. Besides, since TigerVPN operates from Slovakia, it is not subject to strict data retention laws and it is outside the jurisdiction of the Five Eyes spying alliance. Another good point to consider is that they allow P2P (although they advise users to avoid US servers for this purpose and to use Romanian and Dutch servers instead) and accept Bitcoin as a method of payment. TigerVPN has dedicated clients for Windows, Mac, Android and iOS, which are the platforms that most people use. There are also guides that will allow you to set up the VPN manually on Linux and other options supported. TigerVPN controls its own network and infrastructure. Their servers are continuously monitored to ensure their safety and to provide optimal performance for all customers. They also manage their own DNS servers, which allows them to enjoy faster speeds and enhanced privacy. Customers can also check the status of TigerVPN’s network at any time to confirm the transparency of the service. The service features meshed (shared) IP addresses, which makes it very difficult for others to identify a specific user. 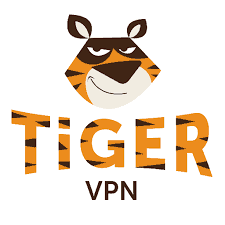 When the VPN connection is enabled, your real IP address will always be disguised and if needed, TigerVPN will automatically reconnect you. The service also offers NAS firewall to increase the security of your connection. While security is crucial when it comes to VPN services, the encryption applied can slow down your connection. However, good VPN services can deliver good results and ensure that you don’t experience significant speed loss while using the service. TigerVPN manages to offer stable performance and satisfactory speeds for streaming, gaming and more. They have over 300 servers in 42 countries and give you flexibility to switch between servers whenever needed. The plans are organized according to the length of the subscription you choose. If you only select one month of service, the price is $11.99 and you can only use 2 simultaneous connections. You can also opt for six months, which cost $8.33 per month and supports up to 3 simultaneous connections. The yearly plan is the most complete option and it also lets you save money in the long run. The monthly price is reduced to $6.67 and it includes add-ons such as a StickyPassword Premium and Shimo VPN Manager. The first is a practical password manager and the second is a VPN manager for Mac that lets you handle multiple VPN protocols including Cisco and OpenVPN. All the plans are covered with a 7-day money back guarantee. There is also a rewards program that allows you to earn points that can be redeemed for gifts. We also like the fact that a percentage of their profits are donated to animal shelters. The website offers helpful information about the service and the support section contains a helpful knowledge base, where you can easily find articles related to your query. If you need additional help, you can reach out to the support team via live chat or ticket system. The tickets are responded to promptly and they include a lot of useful information. They recently added live chat, which is great as it gives you the chance to get a faster reply when needed. TigerVPN offers a simple VPN client, speeds that are beyond average and great customer support. Although the monthly plan only supports two simultaneous connections, you can upgrade to the yearly plan and enjoy additional features, as well as the possibility of connecting up to five devices at the same time. Although there are no advanced functions, the simplicity of the client makes TigerVPN ideal for new VPN users.